Register below for your spot at one of our LIVE Medicare Cafe events! Be sure to let us know what menu items you would like to see discussed the day of the event. The top 3 items chosen will be discussed the day of the event. Seating is extremely limited, so don’t wait. 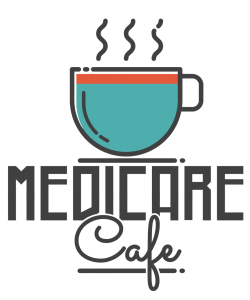 Are you subscribed to the weekly Medicare Cafe discussion? You only need to register once and you will be invited back every week! Even if you cannot make it one week, you will still receive the Coffee Grounds – our post cafe email with cliff notes and resources! Sign up for our weekly Medicare Cafe discussion here.